St. Bonaventure Mission in Thoreau , New Mexico is located in the midst of this beauty and desert poverty. 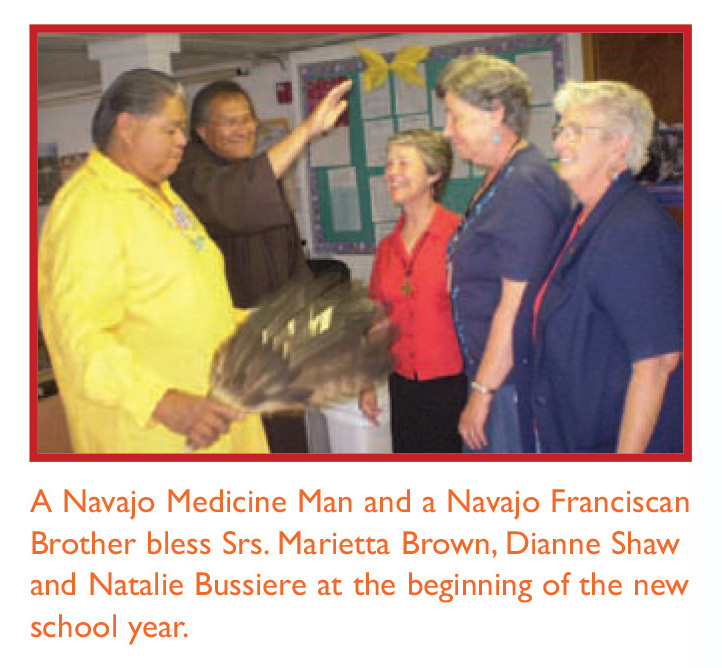 This Mission is an oasis, a special place where Sisters of Notre Dame de Namur, with other caring and devoted people from all areas of the United States, minister to God’s people living in poverty. On this Navajo Land, specific ministries include providing housing for low-income families, repairing roofs, delivering water, building outhouses for those with no water, food and other much needed supplies such as blankets and clothing. Many hundreds of donors who assist us by their financial gifts provide these goods and services. Our “Outreach” department provides employment for Navajo people. The major ministry at the Mission is St. Bonaventure School, a preschool and elementary school through the 8th grade.